Build your dream home! 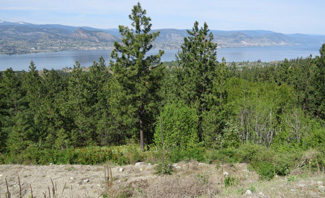 This half-acre building lot is situated in the prestigious Stonebrook Benchlands subdivision, a high-end neighbourhood on the Naramata bench. This property is designed for a street-level home with a walk-out basement to a treed sloped area. The expansive views of Okanagan Lake and the Cascade Mountains are truly breathtaking. No GST!